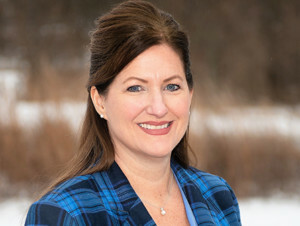 COLUMBUS, Ohio — Ohio DNR Director Mary Mertz named Kendra Wecker as chief of the ODNR Division of Wildlife on Saturday, Jan. 19. Wecker brings more than 25 years of experience working for the division, building programs and partnerships that have helped shape Ohio’s conservation efforts. She becomes the first female chief of the Division of Wildlife, although the now retired Vicki Mountz was interim chief several years back. Wecker has advised numerous ODNR Division of Wildlife chiefs and other senior staff on legislative issues for all aspects of hunting, fishing, trapping, and shooting sports. She has worked on many large projects affecting Ohioans, including commercial fishing regulations, Sunday hunting, and improved shooting ranges. She was instrumental in proposing legislation for the popular cardinal and bald eagle license plates, and in the creation of the Ohio Biodiversity Conservation Partnership as well as the popular Ohio Diversity Conference. Wecker was the Wildlife Diversity Coordinator for almost 20 years before becoming the Information & Education Executive Administrator in 2016. In both roles she worked with outside organizations on outdoor public education programs, advised multiple chiefs on important topics, managed research project budgets totaling more than $1 million, and coordinated legislative issues for the division. During her tenure, she has been the recipient of multiple awards, including Wildlife Conservationist of the Year from the League of Ohio Sportsmen. Since graduating from Ohio State University, protecting the rights of hunters, anglers, and trappers has always been a top priority for Wecker. She enjoys camping, fishing, and hunting with her family. Wecker’s selection is a win for the Division of Wildlife and a win for sportsmen and women, in my humble opinion. She’s undoubtedly made many important connections to Ohio’s outdoor industry through her work as Wildlife Diversity coordinator and administrator for Information and Education. Those will serve her well in her new role. It was time for a change in leadership with the Division of Wildlife and with the ODNR in general. The appointments of Mertz and Wecker are a step in the right direction.